Having the summer all year round, any time can be great for planning and enjoying outdoor events. Be it a weekend getaway party, or a day trip, a local social gathering, there are so much more to be planned. Outdoor events are great, but there are certain things you need to consider before you plan an outdoor event in the summers. Keep reading to find out more! With the temperatures rising to the high 32 degrees Celsius in Singapore, it is mandatory to provide ample of shaded area for your guests. This is where you need to look for tents. One such tent you should consider is the large dome tent. They are large and can be easily rented in Singapore. Along with the tents you need to consider aircon units too. Most of the events happens from morning till night, but if there are options, the ideal time will be in the evening. This ensures that your event takes place at a time when the sun is not at it’s peak. Summers are unpredictable in Singapore. You never know when it will rain next. Although tents are safe from the rain, people may be a little hesitant to come out in the rain because of the mud and dirt. It’s always a good idea to have an indoor area for the event as well. The floorings of your rental tents can be chosen from a variety of materials that are water-proof or can be easily cleaned, should rainy days create wet footprints. Ensure that there is sufficient power for hardware like fridges, grill, and air-conditioning; either from pre-existing sources on the venue that can be tapped into, or else event organizers will have to invest additional funds and space into renting power generators. 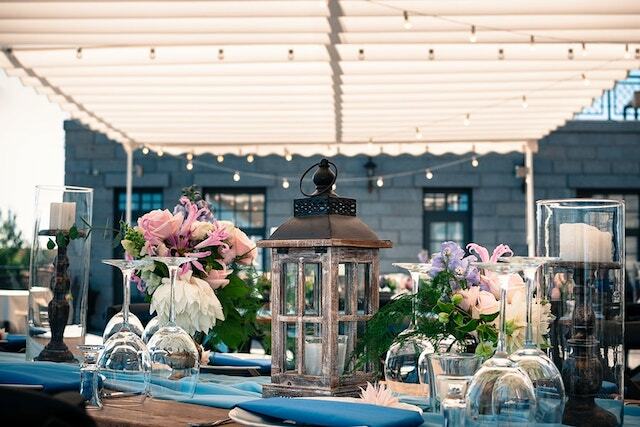 Outdoor events are often held at outdoor spaces or open lawns that may be sequestered away from main roads, so providing directions beforehand to attendees and guests will be immensely helpful for them to find their way. Make sure you offer some activities to your guests as well. It will keep them entertained all at the event. It is important that you know your audience well. For example; if it’s a family event then hire some balloon artists and face painters for the young ones. If you are serving alcohol at your event, it is your responsibility to keep the kids away from it. Also, keep a check if someone is drinking more than they can hold, as they could endanger other people or get hurt themselves. Since summers can easily spoil food, it is important that your menu is chosen accordingly. The general advice is to stay away from seafood, and cream or milk-based products. The menu should be light, and healthy. Finally, once your event ends, it is important to clear up everything, and for that, you need to hire some attendees beforehand. You can always pay them, but if you don’t want to do so, you can look for some volunteers. This way you will be able to clear up the mess soon. While the summers are still here make sure you enjoy these outdoor events as much as you can. And yes for wedding chair rentals in Singapore, don’t forget to contact and survey as many chair rental companies as you can to find out the best prices and selections. Share the post "Considerations for Successful Outdoor Events during Summers"